A live concert by *etnika. 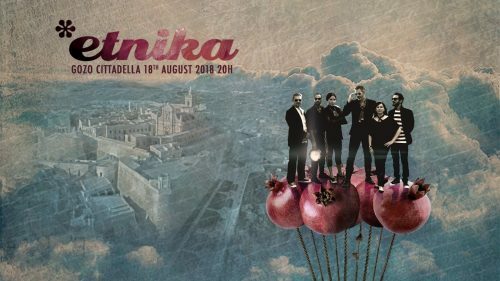 An unlikely mix of artists, characters and instruments, *etnika’s sound layers enchanting melancholy and traditional tunes & lyrics over effected guitars, retro-futuristic synths, unconventional percussion and footwork, deep, groovy bass, raspy sax, haunting whispery vocals and old Maltese instruments. Expect a few detours, expect the unexpected, this ‘tripfolk’ band has a big heart.